Thank you for opening up about this. Honestly, the first word that comes to mind is ‘exhausting’. It sounds exhausting emotionally, mentally, and physically. I value your candidness on this subject. You have helped me understand more. Not completely, as I don’t think anyone could possibly understand completely unless they’re experiencing it, just more. My heart bows to you in gratitude. Thank you for your feedback, Anne. I happily share this with the world, with the intent to educate and help others understand. I’m glad it is helping you. I know people with OCD issues, and I hope I have never made light of it. Thanks for letting me get a glimpse of what you deal with. I may not ever completely understand, but I know more now than yesterday. Thank you for your thoughtful reply! I’m glad you took something away from my post. Thank you for sharing this. At least half of those describe me to a T, especially the smelling, handwashing, food, dishes, and counting. I actually got confused and thought I was reading something I had written, no joke! And then I have several other OCD tics apart from what you mentioned, and if we were both truly capable of writing out the whole tedious list of our issues, I’m sure we’d find some more similarities as well. My point being, I know exactly how exhausting it is. How time consuming. How set apart and freakish it can make one feel. And-it bears repeating-EXHAUSTING! I don’t know about you, but my OCD revs into high gear during mania. It’s always there, but during a manic phase it’s even worse! I’d give anything to stop the noise inside my head, the bad images, the absolute need to do these things, lest something really, really bad happen! People like to laugh at some of the things I do. Some people get really frustrated with me. They have no idea what it’s like, or how hard I try NOT to do these things, think these things, say these things. It’s just the same reel repeating over and over and over again. It sounds to me, you feel validated by my post. I hope that this is the case. I hope at the very least, that you feel less alone in the world, and a little less misunderstood. Cheers! Oh how I understand these last several posts of yours. At some point we need to sit down for a long talk. And, yes, it is possible to calm the compulsions, and the “tics”. But it takes time and more. I am finally seeing some progress with mine. Yes, just being around people, or just being awake, can be exhausting at times. But we like you for being you. You are important to many people. Pati, I could not agree more. We really do need an opportunity to talk sometime soon. The next time I have a convenient trip to the Valley, I will get in contact with you, and see what we can work out. Cheers! Truly exhausting! I really get the cleaning thing. My boyfriend makes fun of me…sometimes in front of our friends…I just feel more alone…even though I try to laugh it off…maybe no one will notice. I wish I could just walk away…let things go…he does…others do. Makes me angry…why should I compromise my high standards….clean is good…clean feels good….why is it wrong? I don’t have great advice for dealing with OCD. I have my own set of very high standards, but they aren’t clinically diagnosable, I don’t think. Rory will likely have some advice, though. But if your boyfriend makes fun of you, whether in private or in front of others, that’s not a good thing. What happens when you talk to him and ask him not to do that? You shouldn’t have to laugh it off. Your feelings are legitimate, even if he doesn’t agree with them. Hugs. It’s not wrong. It’s just different from other people. It’s not okay for people to make fun of you for who you are. Tell them so. It has been worth it for me. Thank you for talking about this. People use the phrase, ” I’m so ocd!” And have NO clue. I have ocd with psychotic tendencies, which sounds like that is what your diagnosis is too. 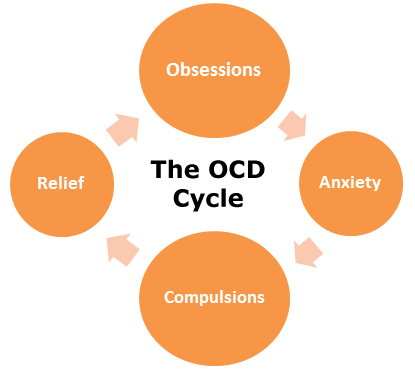 The thing these people don’t understand is that a person with REAL ocd is suffering 24/7. I pop my fingers so much my joints always hurt and I have a big muscular tic with my shoulder and it causes me so much pain from repeating the tic all day that I just wanna cry. But, I can’t stop. I bite my cuticles until they bleed. I obsess and worry constantly. I feel I have to repeat thoughts in my head until the thought sounds just right. And I too have the smelling thing. I also have to smell when people fart, or any kind nasty smell…no fun. You are not alone. And I too feel frustrated when people joke about having ocd. They just have no clue. It’s cruel and exhausting. Thank you so much for posting this! I’ve been counting for years. Steps, tiles in the ceiling, panes in the windows, etc. etc. etc. I honestly thought that everyone did this, but suspected there might be “something wrong” with me. I just found out yesterday that this obsessive counting thing is just a part of it. Oh, and honey, don’t feel bad, I had a Billy Joel song in the back of my head for two months, like a soundtrack. Drove me INSANE. It’s another song for the past four-five days, and I won’t tell you what it is because I know it will invade your head. Anyway, I found a shrink, and she’s put me on meds. We’ll see how that works out. Again, though, thanks so much for sharing. ❤ Thanks for your message, Enriko.